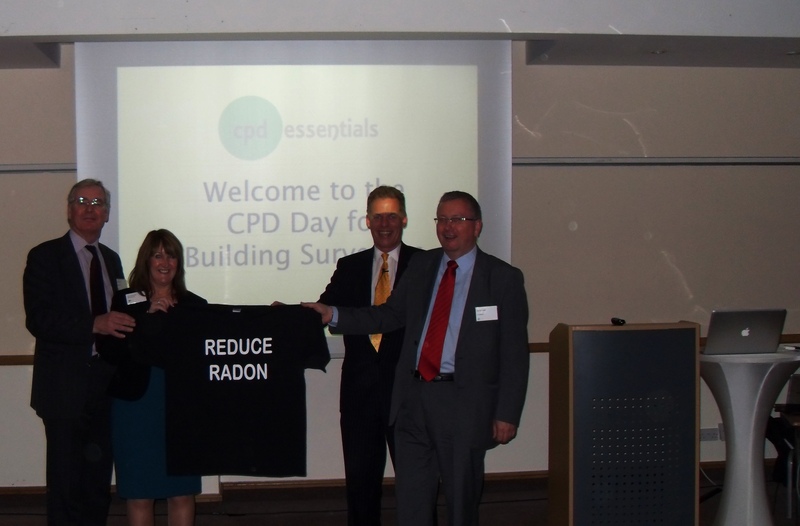 The ‘Reduce Radon’ t-shirt was in Bristol this week, raising awareness of the naturally occurring but potentially lethal radioactive gas, radon. propertECO were asked to speak on the subject at a CPD seminar organised by Hampshire-based CPD Essentials. The event attracted over 80 delegates eager to be kept up to date with the latest industry issues. Many surveyors had not realised the extent to which properties in the area may be affected by radon and indeed the fact that all properties with basements are at increased risk. The message ‘To Test is Best’ was certainly taken on board with several attendees placing orders for test kits for their own homes and offices.